On its website, the James Madison Institute, a Tallahassee-based conservative foundation, calls itself "a beacon" and “Florida’s free-market think tank”. Now that one of its senior staffers has been caught on tape fronting for a constitutional amendment that inhibits solar power unless it is funneled through Florida's large electric utilities, the James Madison Institute reveals what’s wrong with today’s GOP. Protect your dreams? The James Madison Institute has now scrubbed its website and Twitter account of any mention of the fake solar amendment like Lady McBeth compulsively washing her hands after turning her husband into a murderer. 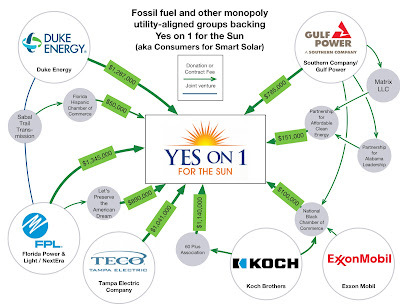 Leaked audio offers new evidence how the James Madison Institute shilled for Florida utilities, misrepresenting the utility-funded Amendment 1 ballot initiative: not only is the constitutional amendment anti-solar, James Madison Institute boasted about its strategy. Audio obtained by the Center for Media and Democracy (CMD) and the Energy and Policy Institute captures James Madison Institute's Vice President Sal Nuzzo explaining how JMI and other Amendment 1 backers successfully misled the public into believing it was pro-solar. The point I would make, maybe the takeaway, is as you guys look at policy in your state or constitutional ballot initiatives in your state, remember this: solar polls very well. To the degree that we can use a little bit of political jiu-jitsu and take what they’re kind of pinning us on and use it to our benefit either in policy, in legislation or in constitutional referendums if that’s the direction you want to take, use the language of promoting solar, and kind of, kind of put in these protections for consumers that choose not to install rooftop." So who exactly are the liars at the James Madison Institute, because Vice President Nuzzo was only saying what his board members knew to be true. The board of JMI is loaded with Florida utility executives. Start with Board Chair, Allan G. Bense. Bense was Republican Speaker of the House from 2004 through 2006. He is now on the board of Gulf Power Company that has been eye-ball deep in James Madison Institute for many years. Bense is also chairman of the board of the Florida Chamber of Commerce. The Chamber of Commerce does not represent the interests of small businesses in Florida. 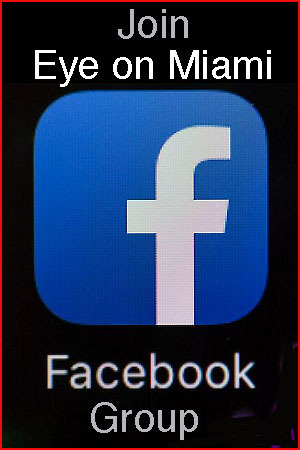 It is a political heavyweight that directs enormous campaign contributions through a Russian doll network of political action committees that serve to cement the privileges of large scale enterprises in Florida. The lessons in Florida's recent political history are clear: when you see the Florida Chamber of Commerce advocating for a constitutional amendment, run for the hills. Conversely, when the Florida Chamber stands in opposition, it is because the proposed constitutional proposal bends towards the interests of voters. The Florida Chamber is conjoined with Associated Industries of Florida, also run by GOP insiders. Both for example are regular recipients of six figure largesse by special interests like Big Sugar -- whose profits through corporate welfare have been tagged by tax advocate Grover Norquist as "cronyism in its undiluted, inexcusable majesty". Bense is a trustee of FSU he is a board member of Foundation for Florida’s Future, the Jeb Bush think tank supporting his cratered presidential bid, and serves on the boards of both the Florida Council of 100 and Enterprise Florida, Inc. 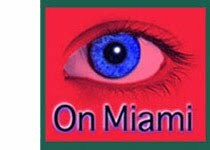 The Florida Council of 100 and Enterprise Florida are organized to advance the privileges of Florida's GOP elite. If it sounds like the James Madison Institute is against free-markets when they level the playing field and for free-markets when they can be tipped in favor of Big Business, you would be close to understanding how the GOP practices psychological warfare against its own voters. Amendment 1 is not just a “wolf in sheep’s clothing” to deceive Florida voters. It is embraced by the Florida think tank that advocates limited, free-market policies while cynically supporting centralized, picking-winners-and-losers by insiders. These are the same forms of misdirection and deception that enraged Florida Republican voters who vaulted Donald Trump above two native sons favored by the political insiders at James Madison to be the next GOP presidential nominee: Jeb Bush and Marco Rubio. Against this backdrop, it is easy for voters who are paying attention to see that the JMI claim of support for the free market and limited self-government are as fake in Florida as Amendment 1. Republican voters, in particular, ought to be outraged against a rigged system that turns bedrock conservative values into a catch-basin for special interests. 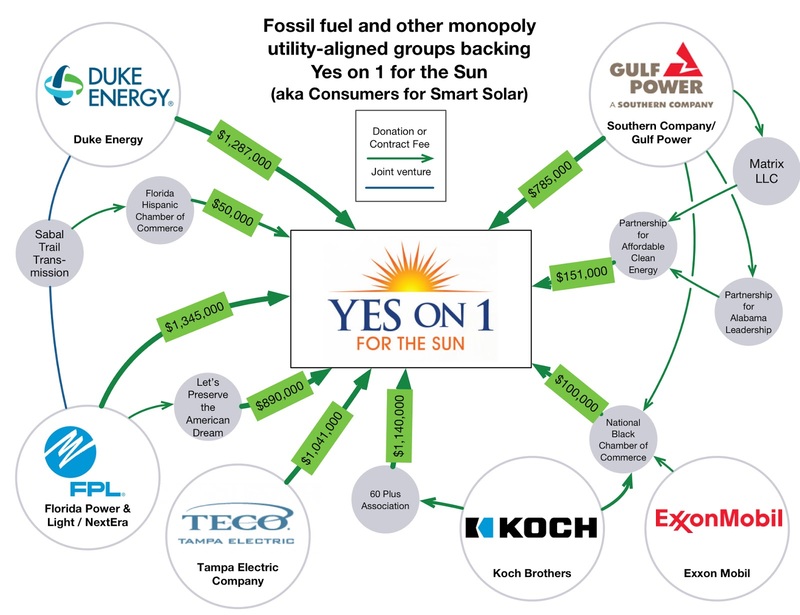 In November, voters will have a chance to deny Florida's utilities the lock and key to a solar future precisely because if the amendment passes by 60% of the popular vote, it is their lock and key. If the GOP hopes to regain the trust of Florida voters, it will need to reform policies and practices including think tanks supporting a rigid status quo and pretending to be what they are not. That "beacon of liberty" on the James Madison Institute website is really a false light set by reef wreckers to lure ships to be smashed, the easier for pirates to plunder and loot. Allen G. Bense should resign from the James Madison Institute. However, he is doing what big business wants: concentrate power to deform the values, ideals and essential principles of conservative, limited government. Republican voters have a lot to be dismayed about this election cycle, and the dismay only starts with Amendment 1. JMI is indeed a (Small) tentacle of the Kochtopus. I am a die hard Republican and am voting no on Amendment 1. First of all this is not the GOP so you should apologize for this misstatement (lie more accurately). You are obviously a lying Democrat Party tool for trying to equate this think tank with the GOP. Another misconception is that the Koch brothers are Republican. They give money to both sides albeit more to GOP. @Jorge Blanco--it's the "Democratic Party," you right extremist; it is its lawful name and you and your hacks don't have the right to change it. When I call the gop'er party the fascist party I am merely being descriptive (accurately), but I am not trying to change its tainted name. Got it?